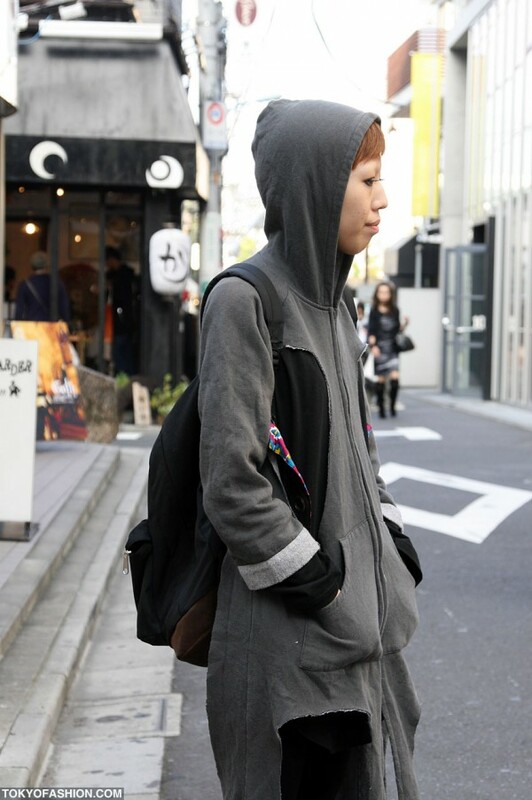 This stylish 17-year-old Japanese girl was photographed on the street in Harajuku. She works for the uber hipster vintage/resale shop Dog Harajuku. She said that her layered outfit – which includes a really cool cutout hoodie, black leggings, and black leather shoes – is entirely put together from used/vintage items. 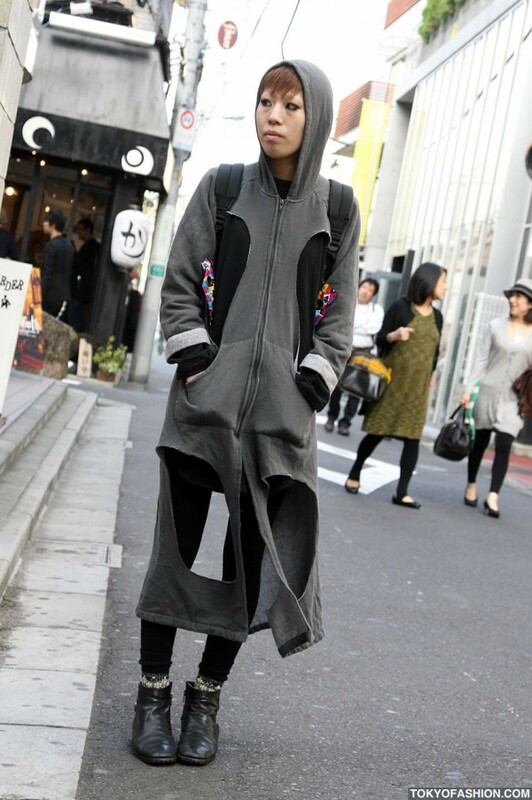 Some of what she is wearing came from – you guessed it – Dog Harajuku. As far as music, Radwimps is one of her favorite bands and she singled out their singer Yojiro Noda as her favorite member. That’s a very cool concept, but it looks chilly. I like her overall look. I met her when I went to Tokyo at Dog..I had NO idea she was only 17. 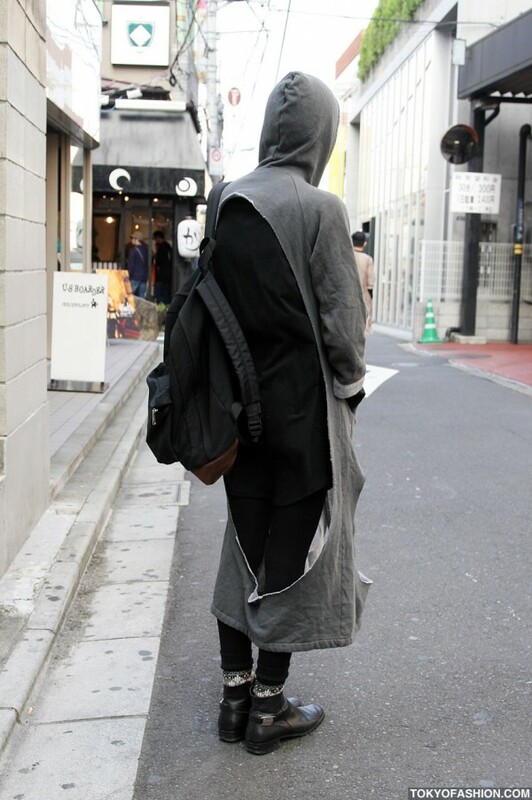 Wow….Her style is really cool.